You'll be surprised why a married man falls in love with another woman. Why does that happen? Many women wonder what goes through a man's mind or what actions men see in their lover that make them fall in love with her. What is surprising is that these factors have to do with what they live in their home than with the lover. Love Times presents a series of factors that intervene directly on the feelings of a man who has decided to fall in love with another woman and not continue with the wife. When a committed man falls in love with another woman it is because he has stopped feeling true love for his wife, what makes him get lost? This question is like a wound in the minds of wives. Let's start by mentioning that for a man to fall in love with his lover did not arise overnight, that is, he had to make the decision to be unfaithful and then lead a double life, living together, investing and lying continuously. Answering why your husband fell in love with another woman (his lover) is not summarized in a single answer, so we present the most common. Everything that happens in a home, (in the relationship), has to do with the two, who do not know how to solve the differences is something else. When a man lives more fights at home than in the street, he usually looks for someone who will listen to him and give him affection instead of asking him every moment for things that sometimes don't matter. Look for someone who won't criticize you or compare you, they yearn to have their best fans at home, the one they support with constructive and non-destructive comments. "It's just that my wife doesn't like what I do, when I just keep working. The man who becomes a supplier wants that when he arrives home he finds that counterpart of the stress that lives in the work, to arrive and to feel comfortable, with a wife who receives him with harmony and not with complaints and claims that end in endless discussions. It often happens that the stress in both (husband and wife) manifest and end up putting them to sleep in separate beds, this is a negative point for the relationship. A man likes to play with his wife in the good sense of the word. Joking and laughing out loud is something that should happen because of trust and good communication, when this ceases to exist is that both have become too serious. So what happens, that the man looks for in another woman that fun where she is not afraid to cry with laughter and that her makeup becomes a disaster in order to enjoy a good time. There are wives who do nothing if the husband is not by their side, they become so dependent that they harass their man so much that they end up on the brink of severe stress. This could have been solved at first, both decided to continue in this attachment that in the end harms the couple. It is when the man tries to leave home to look for a space where he can relax but with another woman. If they hear the phrase "Look for yourself or buy yourself a life". This is because the wife stops being herself because she becomes someone who takes orders to do things. Yes, they fall in love because all the above points do not live with the lover, it becomes the point of salvation of what they consider a torment of marriage. They fall in love because the lover does not criticize them, on the contrary it flatters them, they do not reproach them, because the time they give each other is little but of quality. They fall in love with the lover because she takes care of him as she would like the wife to take care of him. And well the point that we have left to the last one, is not less important, but if the intimacy has become almost invisible in house, have for sure that with the lover it is the most important part for which they are together. And yes, it happens that the married man falls in love with his lover. 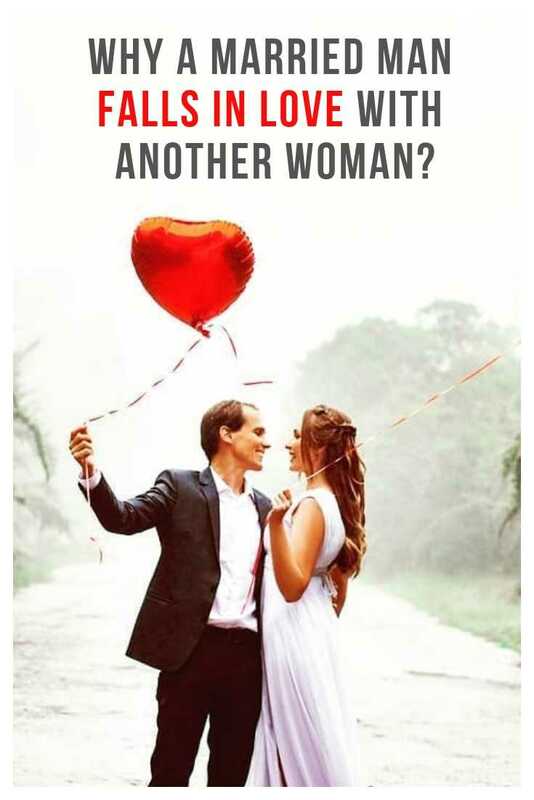 The question here is, what are you going to do after you know the answer to why he fell in love with someone else when he was married to you?